The lip & wrinkle filler professionals with 20 years’ experience in Brisbane and on the Gold Coast. 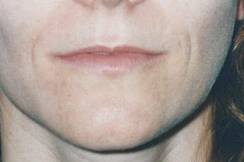 Dermal fillers treatment on lips and wrinkles. Lip and dermal fillers are often used in combination with other facial enhancement procedures such as injectables or laser resurfacing. Dermal fillers have been specifically formulated to assist in the correction of facial contour degeneration and are injected using a disposable syringe with a very fine needle. At Ashbury Cosmetics in Brisbane and on the Gold Coast, we offer the latest and safest procedures available. We make sure that in receiving treatment from us you will experience not only a renewed sense of visual satisfaction but also a heightened sense of confidence and self-esteem. The nature of the dermal fillers used at Ashbury Cosmetics in Brisbane and on the Gold Coast means that there is no need for any pre-testing and you’ll see the results almost straight away. Dermal fillers are the ideal treatment for instantly enhancing your looks in a completely natural way. They work from the inside by adding volume, and are not a beauty cream or surgery. With minimal pain involved and treatment lasting around 15 minutes, dermal fillers are an elegant solution to removing unwanted lines. Ashbury Cosmetics in Brisbane and on the Gold Coast endeavours to fully inform all of our clients of the benefits and associated issues that come with each treatment. This ensures that you are able to understand all of the options available to you. We treat each patient as an individual and understand that your cosmetic needs are important to you and deserve the utmost in professional service to ensure you receive the results you want. What is the most effective wrinkle filler treatment procedure? There’s no definitive answer to this question. The best or most effective wrinkle filler treatment depends on what result you are looking to achieve. At Ashbury Cosmetics on the Gold Coast and Brisbane we offer several treatments for lip and wrinkle fillers. What are the different treatments used for lip and wrinkle fillers? We offer a variety of lip and wrinkle filler treatments. 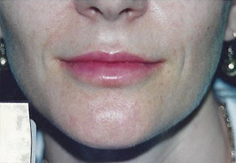 We offer dermal fillers and a variety of lip fillers depending on what results you are looking to achieve. The lip and wrinkle fillers we offer at Ashbury Cosmetics in Brisbane and on the Gold Coast don’t hurt. However, they will produce slight discomfort. Most clients compare it to an ant bite lasting for a few seconds. Who is the best candidate for wrinkle filler treatment? Everybody is a good candidate for wrinkle fillers. However, it does depend on the type of treatment that you are looking to have done. In general, the best candidates for wrinkle fillers are patients who are physically and emotionally healthy people. What this means is that you should seek improvement and not perfection. This is why we explain to patients about the results of our treatments. This will prevent disappointment and ensure our patients have a more realistic expectation on what the result will be after the treatment. When should I consider getting a wrinkle filler procedure done? The best time to get wrinkle filler treatments depends on you and your circumstances. We have had patients who only decided to get treatment when deep wrinkles developed, while others decide to undergo treatment as soon as they see some fine lines or creases developing on their face. In recent surveys, it was found that people in their twenties get wrinkle filler treatment to give them the edge in PR-related jobs. Are wrinkle filler treatments permanent? Unfortunately, modern science has yet to find a permanent remedy for the signs of ageing which includes wrinkles. However, dermal fillers can last up to five years. What is the cost of wrinkle filler treatments? Each treatment is different and it also depends on how many treatments you require. If you would like to know more about the cost of wrinkle treatments then you may want to try our online quoting system where you will be able to have an instant quote on how much a certain procedure will cost. You can also contact our clinics in Brisbane and Gold Coast where our professional staff will be more than happy to discuss the cost of each procedure.